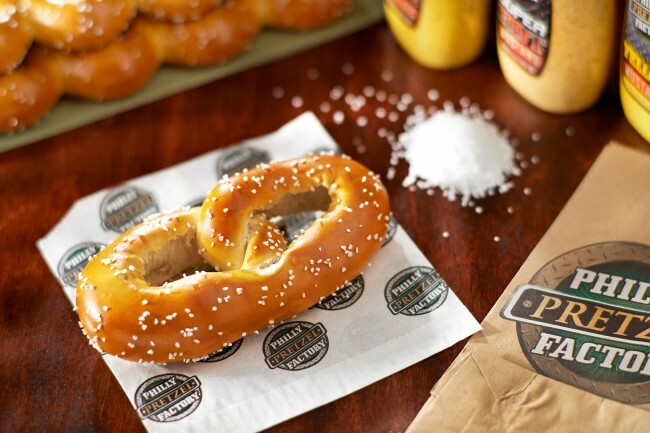 Homemade from scratch, Hand Twisted & Fresh Baked daily. 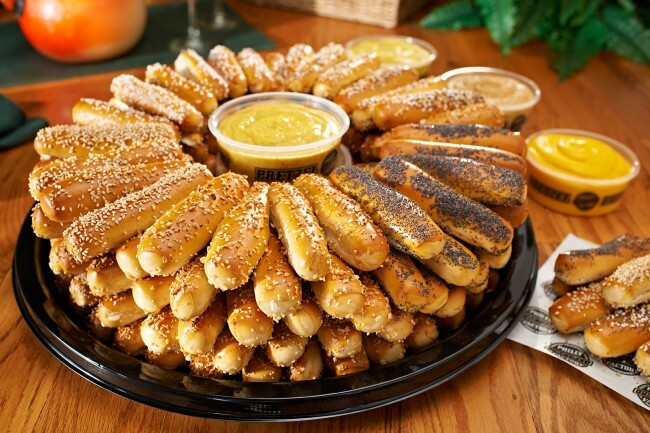 These are REAL PRETZELS! 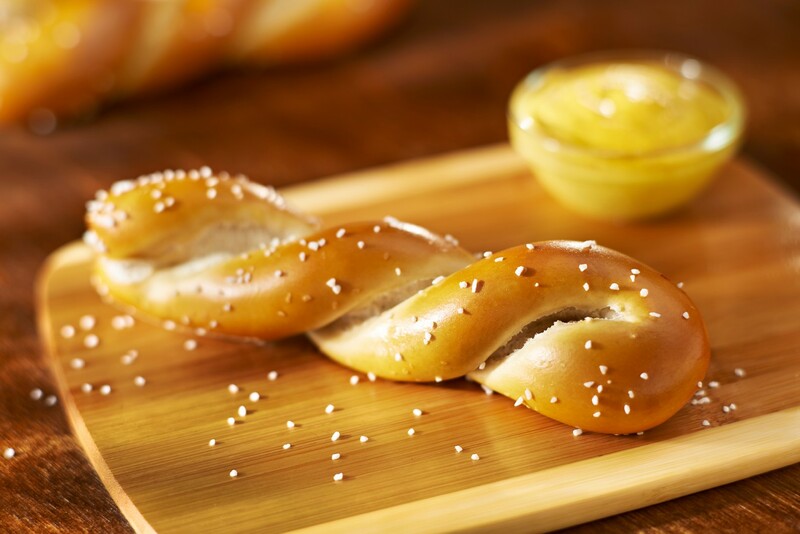 Our “Philly-Style” Soft Pretzels are hand twisted & fresh baked. 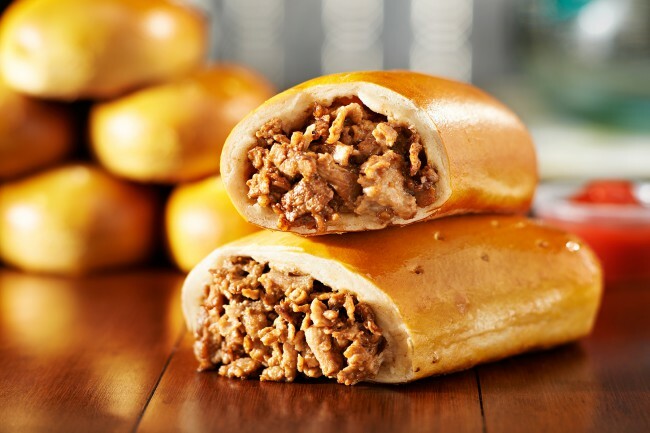 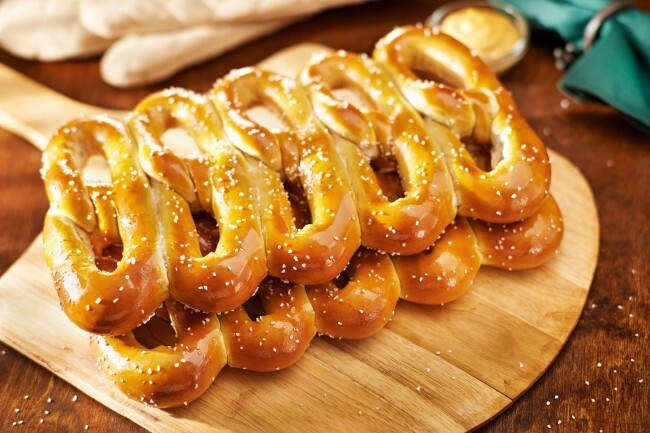 A unique “twist” on our “Philly-Style” Soft Pretzels. 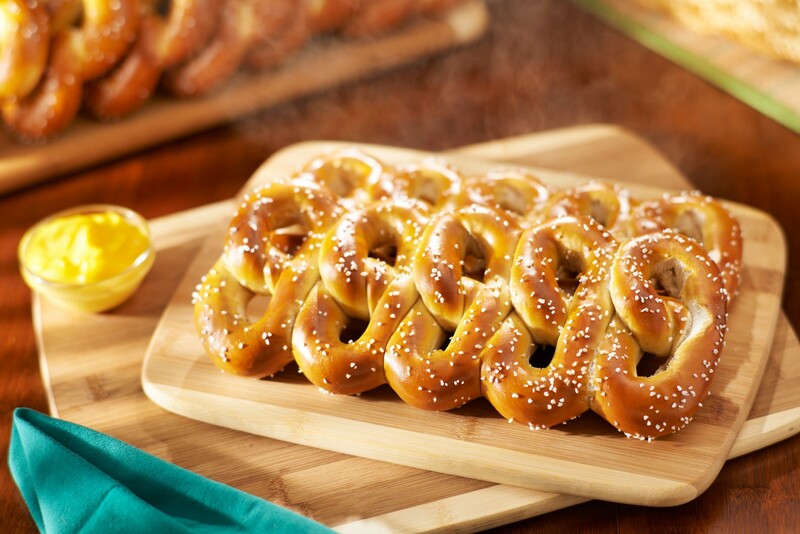 Each Pretzel Twist is hand twisted & fresh baked. A throwback to the original “Philadelphia Penny Pretzels”. A miniature offering of our hand twisted and fresh baked classics. 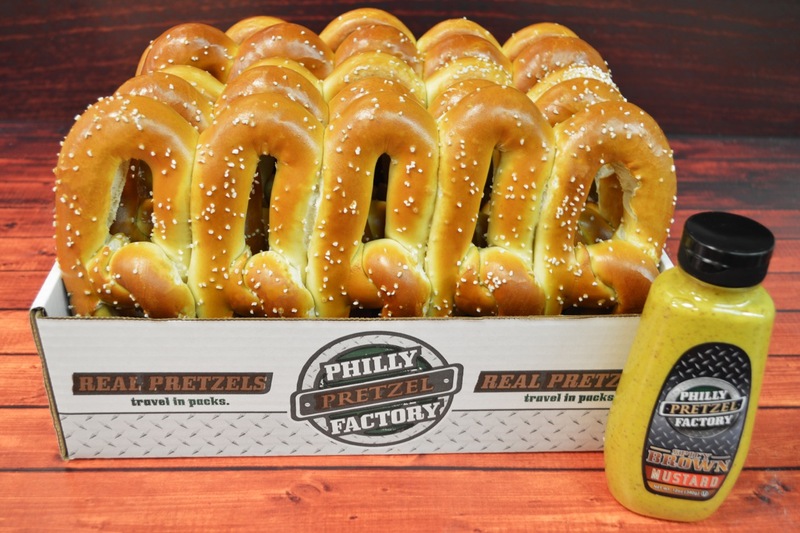 25 “Philly-Style” Soft Pretzels accompanied with your choice of our 3 signature (yellow, spicy brown and superhot) mustard bottles. 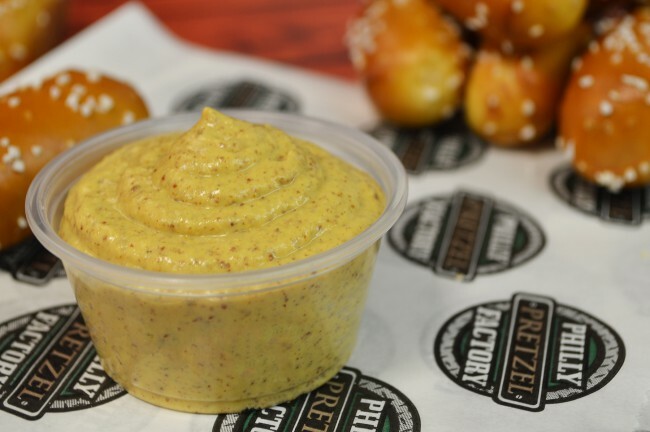 Crowd Pleasers are perfect for any office party or tailgate.